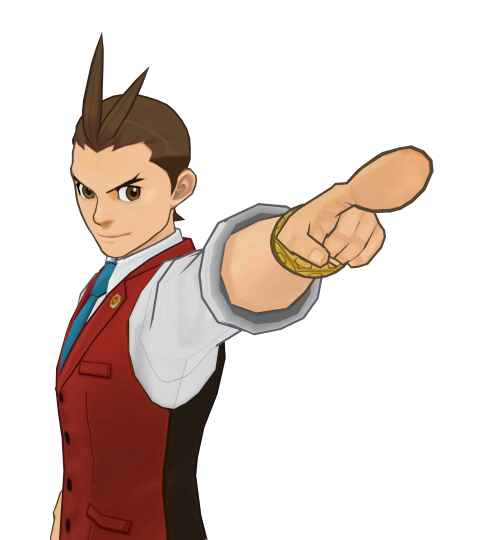 So looks like C-R will finally be able to create their own animations/model modifications using Dual Destinies character assets. In This guide I’ll be showing you how to obtain the rigged versions of these assets, as well as a basic beginners tour of 3DS Max and character manipulation. What Can I Do with these "Rigged Characters"? as they really aren't meant to be seen outside of the boundaries of the game. 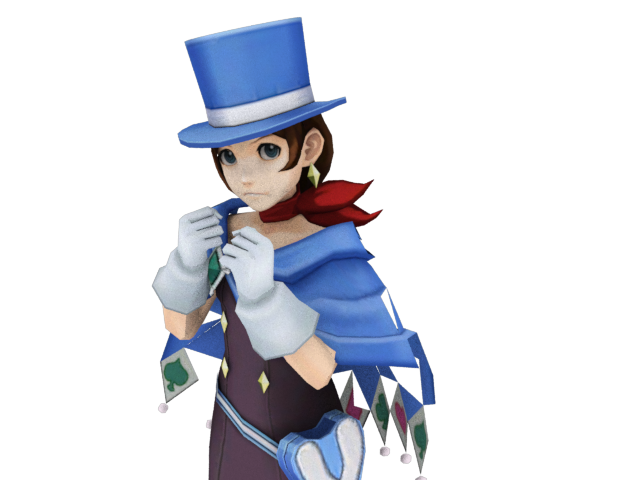 Notice Trucy's cape below. It kind of starts spazzing out if you bend it wrong. You might find this pose familiar? Before starting I'd like to thank the following folks who helped this happen! Everyone who contributed in the original FacePunch and Xentax threads. Firstly we need to extract the model data from the compressed arc files. 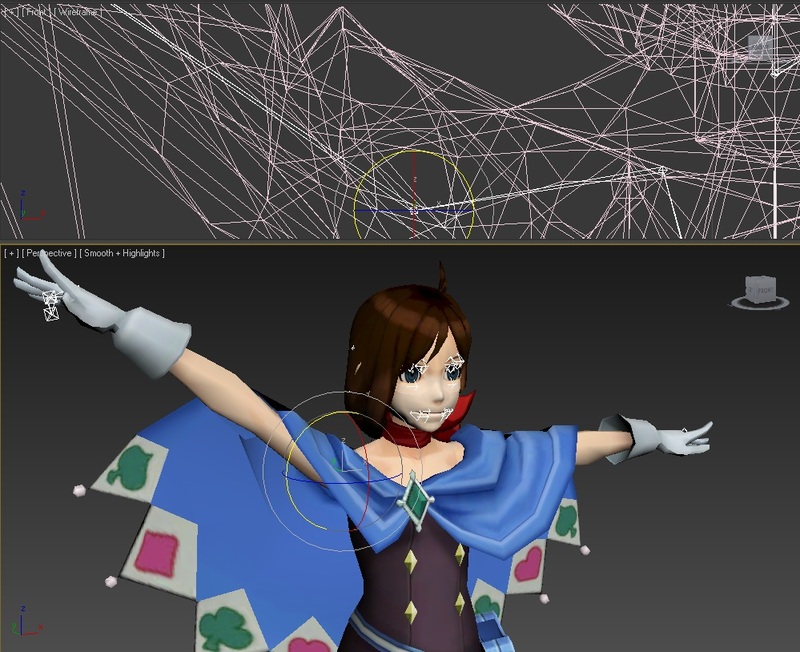 Through out this guide I’ll be using Trucy’s Model as an example. 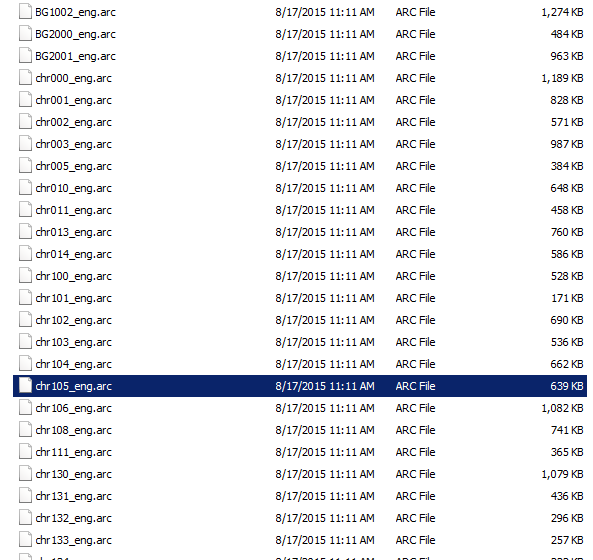 So open up and extract the folders in the DD Archive- ArcTool.zip provided above. You’ll notice that every .arc are named for characters as chrXXX and Backgrounds as BGXXX. You’ll begin to notice that none of these have a .mod, but have . [Numbers] known as string names. Each string name represents a file extension. You’ll need to manually name these to the proper extension. And now we have the proper .mod file we will be using for the MaxScript above! 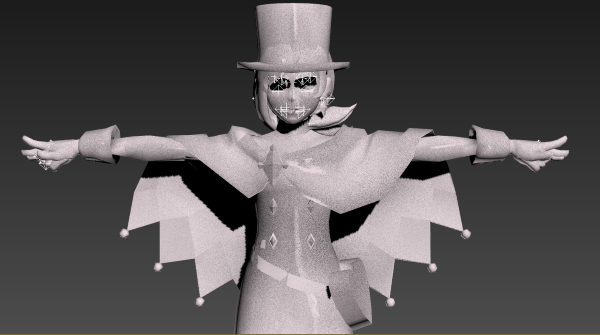 I’ve copied and pasted the chr105.mod file into a new Trucy Folder I’ve made for this part of the guide. 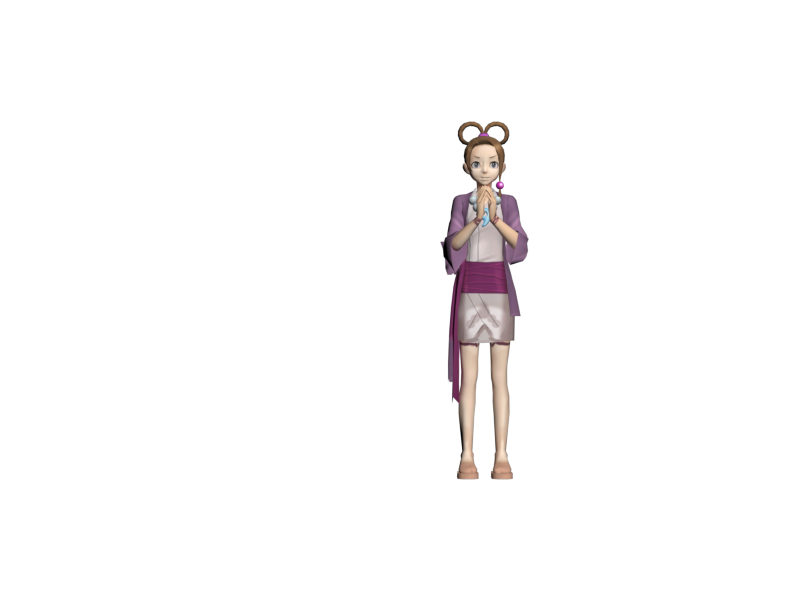 I’ve also copied all of the .png files found in Tunatin’s models2.zip folder from Trucy’s folder, where I’ve flipped each image horizontally using Photoshop and exported them in a “Flipped” folder. 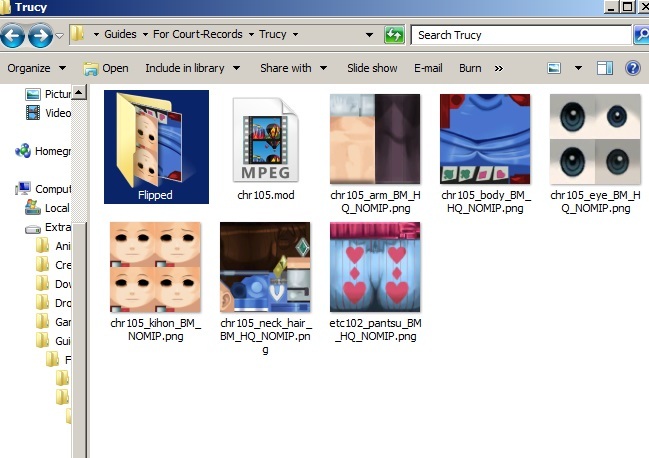 My Trucy directory looks like this. 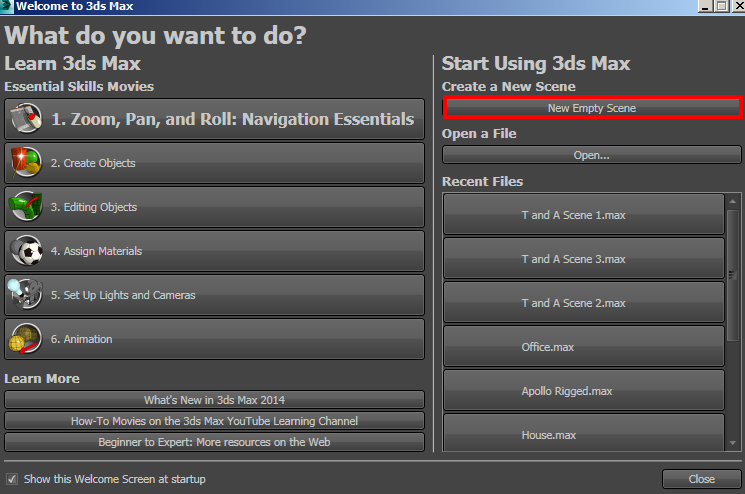 You should be greeted to a welcome screen when starting 3DS Max Simply select “New Empty Scene”. You’re given 4 viewports in total. Front Top Left & Perspective, for this we’ll probably be using perspective more. 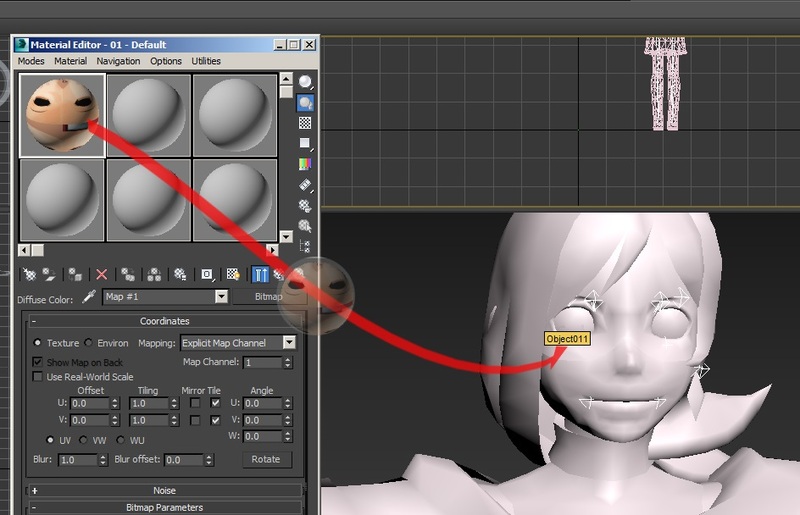 Try to familiarize yourself with the movements in space of 3DS Max a bit, If you’ve never used a 3D Program before. Locate the MaxScript Dropdown in the top navigation bar and select “Run Script” This is where you’ll need to locate and Open the MaxScript Download I’ve provided above. Once you’ve opened it, you will immediately be asked to locate your character .mod folder and open it. Once you’ve done this, it will take a few seconds to process and EUREKA! 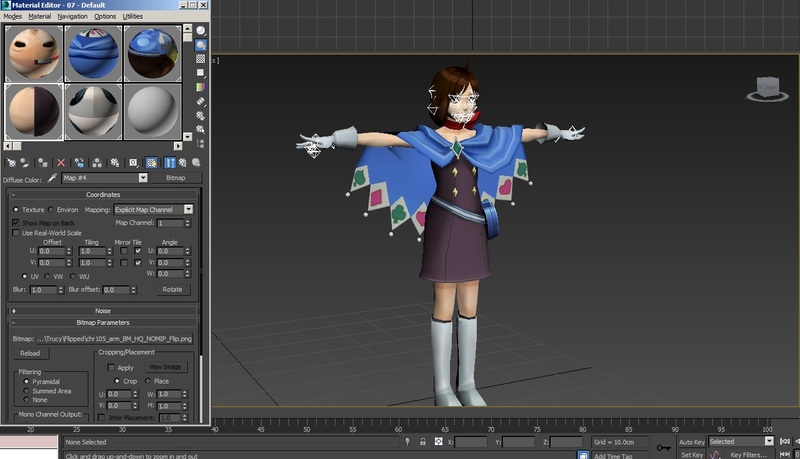 We got our character into 3DS Max! Hold Alt & Drag the Middle Mouse Button in the Perspective Viewport while having an object selected and the camera will revolve around it. So pretty much right out of the bat, you’ll notice that this odd black mucus around the character. As well as extra limbs such has multiple hand gestures and expressions. The mucus is actually the outline effect used through the out the game that orbits around the character. We do not want to delete this, unless you really don’t want the characters to have this effect at all. I myself like having the option to preserve the outline effect. We can’t work with posing the characters properly with this effect on, since the outline effect is separated throughout multiple objects, what we’ll do group all of them into one object layer. After doing this, we’ll have the ability to turn these on and off whenever we want. 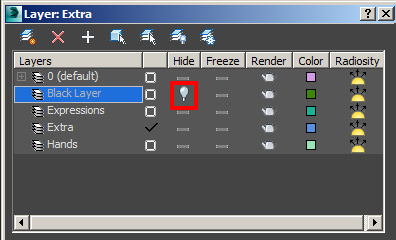 Click on, the Create new layer Icon, to make an empty layer. I’ve made a layer for each group by naming them, black layer, hands, and expressions, extra. 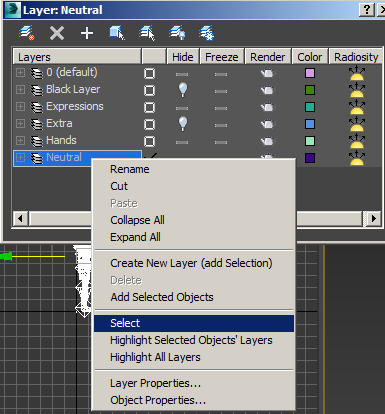 Select your “black layer” layer, and toggle the hide option by clicking the - , a tiny light bulb should appear in its place indicating that the layer and anything in it will be hidden. While having your “black layer” layer highlighted, pick out any black object (Or multiple black objects by holding and selecting Control) from your Perspective view. In your layers window. Add them to the layer by clicking the “+” icon. Since this layer is hidden, they should disappear! Do the same for the expressions and hands and other extra parts your model might have! Now have the option to turn whatever object on individually, while still retaining all of the object and not deleting any of them. If you collapse the layers you can hide or unhide objects individually as well! Keep doing this until you have a neutral pose for the character you selected. 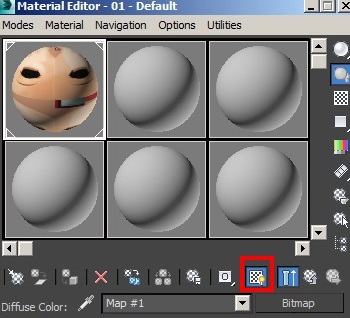 After you’re satisfied with your current objects of your character it’s time to texture, in 3DS Max Press “M” on your keyboard to bring up the slate material editor. 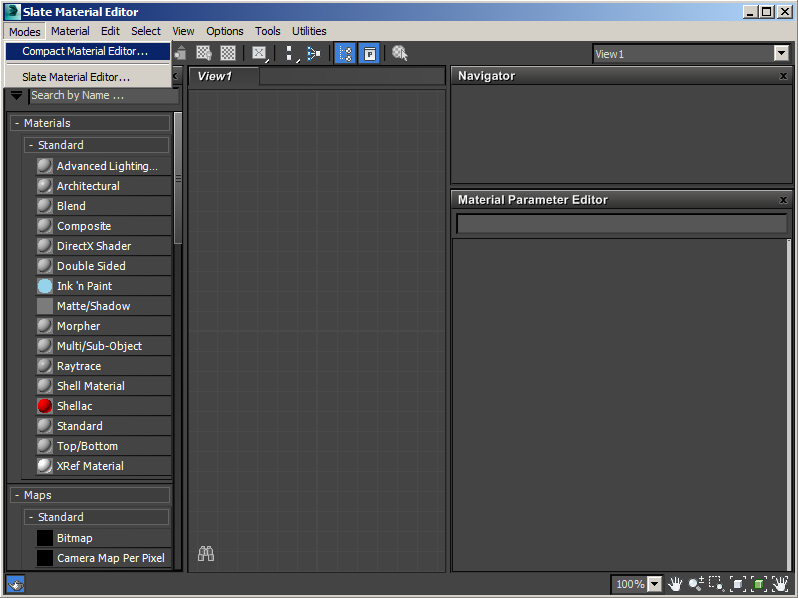 I personally do not like the slate material editor, and prefer the classic version. 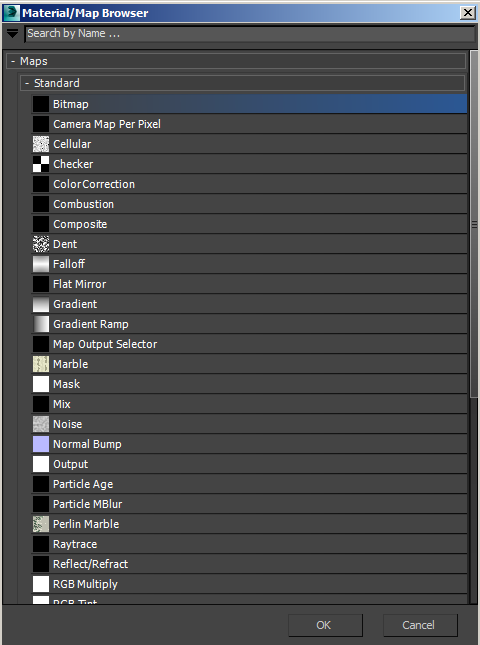 Go to the Modes Drop Down and select Compact Material editor. Click on it, and you should be taken to a new window, where you will select Bitmap. This will now prompt you to select an image file. I’ll be selecting the .png from our Flipped folder with the upside down faces. Finally you can now drag the sphere with the face material and drop it straight into your models face object in the Perspective Viewport. But what gives?? the texture is not appearing? 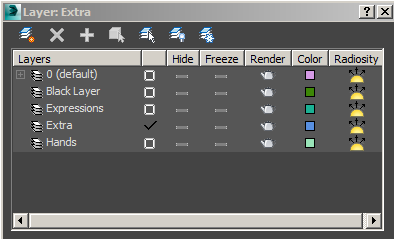 No problem, all you have to do is make sure you’ve select the “Show Standard Map in Viewport” button. you got your textures. Do the same for all those empty spheres. For me they’re only about 5 Material Slots. Please make sure you’re using the .png images you flipped horizontally before, otherwise your textures might show up backwards! We’re almost done! 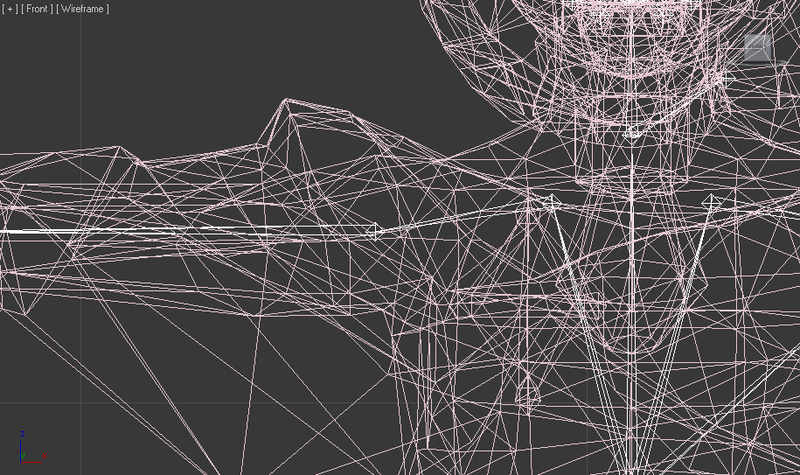 We need to now freeze the existing non-hidden 3D mesh in our viewport for optimum bone manipulation and editing. Let’s Make one more Layer, for the existing viewable models. Select all the models online, (Not the BONES) and add them to your new layer, I’ve called it “Neutral”. Make sure you’ve selected everything! Now finally we should have full manipulation of the bones without our model parts in the way! At this point it might be easier to select the bones from different viewports such as the Front. Here's a neat tip, for some bones it might be best to drag and select a box around it, incase any other bones are stacked together in the same position. Zero-ing in on the arm bone from the Front ViewPort. Press F9, and see your own render! That basically sums it up! 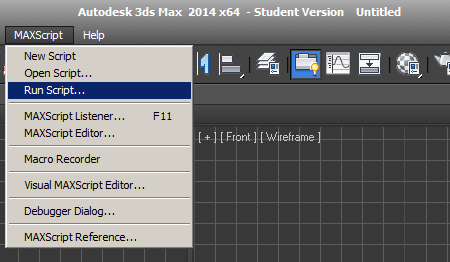 If I’ve forgotten anything please let me know or if you have any questions regarding 3DS Max. I can try to help and answer to the best of my knowledge. ANYWHO, HOPE YOU GUYS HAVE FUN!~ Can't wait to see what you guys come up with. I understood nothing...but I can't wait to see this in Phoenix Wrongs and maybe even fan cases/games. Ok, so given what I know about the subject (I was always better at rigging and animating than modeling) being able to use the DD skeletons means that people will be able to make their own 3d characters, pose them and animate them. You seem rather fixated on keeping the skeletons. That's not too hard to make from scratch to match a model. A few folks have already done that actually! 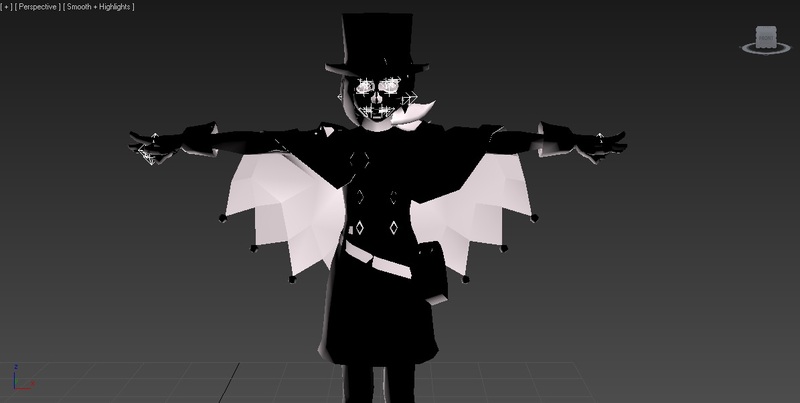 Especially if you want to port the models into a game engine such as Source's Gmod, you'll have to redo the whole skeleton. But for this the whole idea of retaining the skeleton from the game is so that any animation, (primarily the facial flexes) could be replicated "just like the game did it" basically. 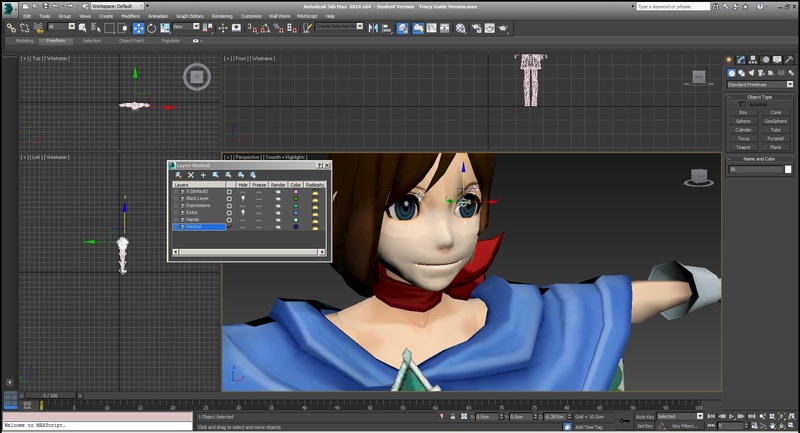 Aside from that you can also render in-house within 3DS Max, which some might find useful if you want a render of a specific character right out of the box. 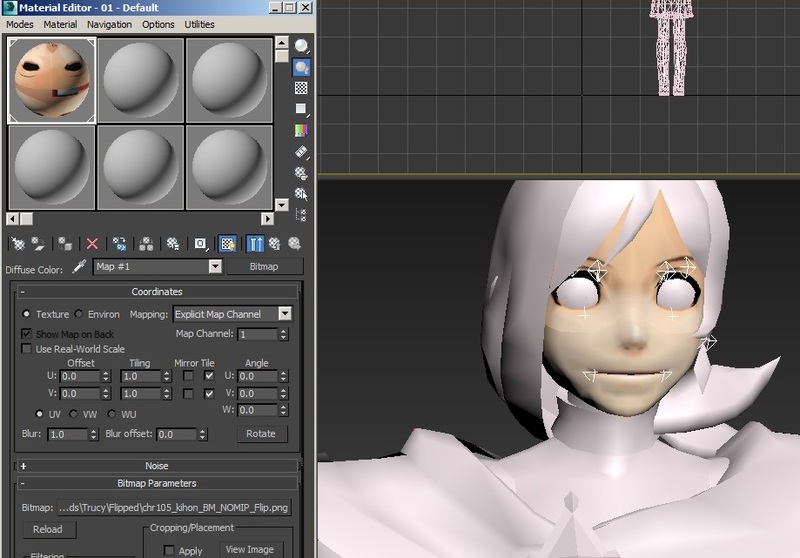 Most if not all the characters have about 3-4 separate facial meshes all of which are individually rigged. Any chance we could get some unarchived versions of these files? I'm running OSX and can't use ARCtool. Hi. Is there a way to convert them into sprites or something after you've done that? 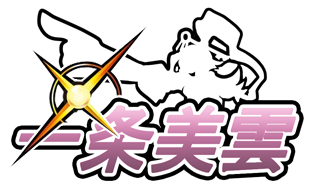 I'm sure Ace Attorney Online (case maker) and Attorney Online (Multiplayer) would have an awesome time with them! Also, does it work the same way for DGS or would you need to use a different method? Thanks! EDIT: Also, do they have the default poses as well? Do you know how to get those lovely outlines in your render? Is it specifically an engine thing with the fan case maker? You might also want to put in a note about turning self illumination up to get the lighting style of the game right for authentic renders within Max! 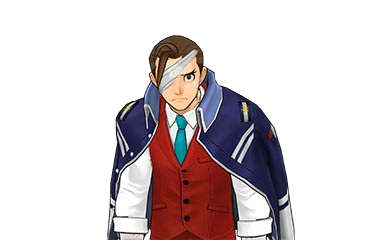 drysider, the outline style that they use in Dual Destinies is the super simple common one called "Inverted Hull" which basically just means they duplicate the mesh, invert it, and expand it a bit. It's way cheaper than some other methods, looks great, and gives you a lot of control over line weight (thick vs thin outlines) and where the outlines should be removed altogether. I assume this control is super useful in a very pose-driven game like Ace Attorney where they even swap in/out different meshes depending on the pose. @Shysterling, If you want a specific character you can PM me, I can get you the contents of the arc file. 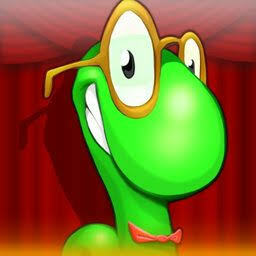 @drysider, I simply use a Skylight, then you'll be able to see the characters fully, with all their glory outline glory. You can definitely pose them and make sprites out of them, by doing some animations yourself. 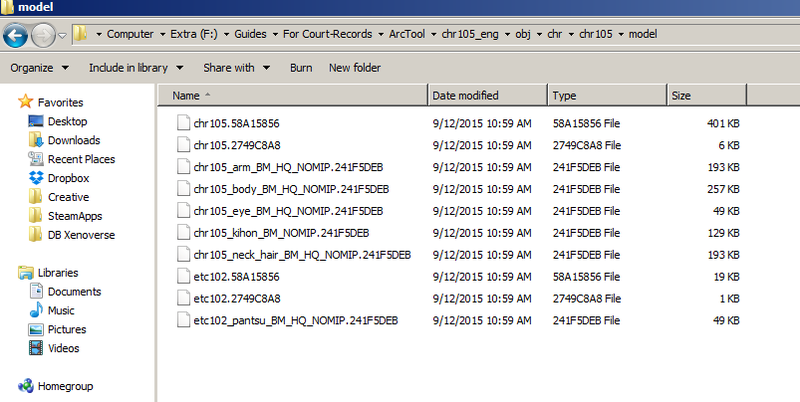 Unfortunately I don't think the motion files that are inside the arc files have been cracked yet. By default pose you meant T-pose? That's all we got so far. Last edited by dirtypantsdan on Mon Sep 21, 2015 12:23 am, edited 1 time in total. And yeah! it's crazy, I noticed when I was digging in the files that they have a bunch of swappable meshes for the face and the arm/finger to look how they wanted at the desired angle! Mind elaborating on the bone manipulation? I can't move anything. Athena doesn't get the black effect either. What you have to do is remove all layers until one remains, and then you can apply a texture. Speaking of textures, how do I get a specific one? 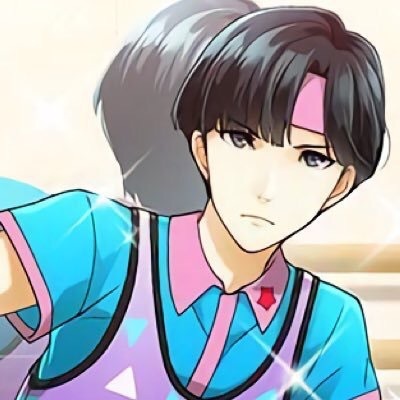 What I mean is for example, Apollo and Athena have different eye textures that are in the same file, so how do I get the eyes I want? The reason why you guys aren't getting a black effect is probably because you're not actually giving the black outlines a texture. I have both Apollo and Athena and I have them both with a black effect. 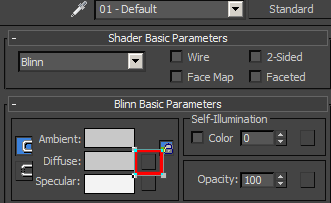 You need to make sure once you've kept all the black outline model parts in one layer, select it (in order to select all of it) and apply a black texture on it. 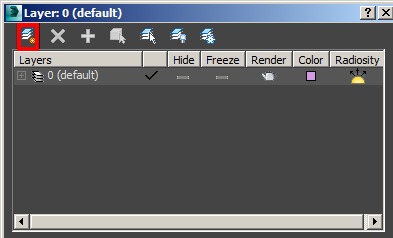 You can do this by clicking on the color tile next to the Diffuse on a new empty sphere in the material editor. 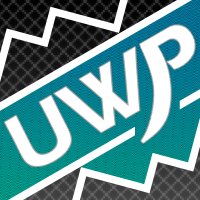 Alternatively you can also do this by creating a texture with 1 pixel that's black, and choose it as a bitmap. Then apply it to all of the black parts on your model. Remember to unhide it to view the black outline!! 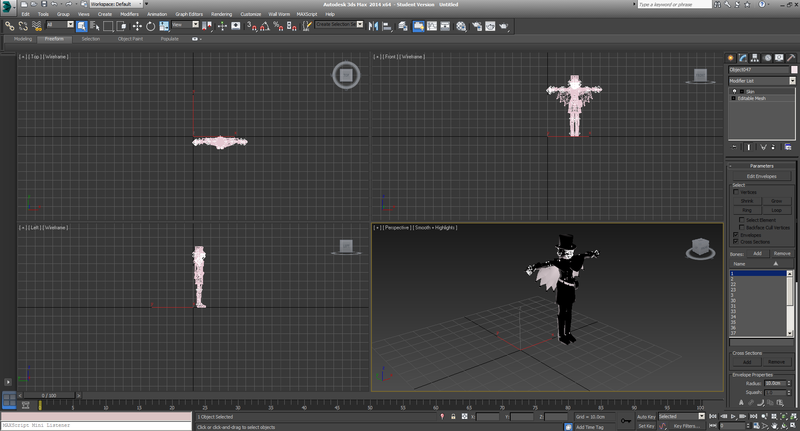 Trying CAT rigging with Thena. The animation looks a bit off (the legs going through the skirt for example) but I still Need to work out the kinks;; The blank expression is what gets me. and yes she does have the outline. Let me know if you guys are still having issues. Last edited by dirtypantsdan on Sun Oct 18, 2015 12:37 am, edited 1 time in total. Trying CAT rigging with Thena. The animation looks a bit off but I still Need to work out the kinks;; The blank expression is what gets me. But that looks beautiful, especially with that blank expression. "Where was I going again?" I can imagine her thinking. I also am not getting the "black mucus" outline effect. Initially, I tried importing Apollo's model into 3DSMax 2016, and only had a gray model with some dark specks. So then I downloaded 3DSMax 2014 as per dirtypantsdan's suggestion and tried it again yet it looked the same. 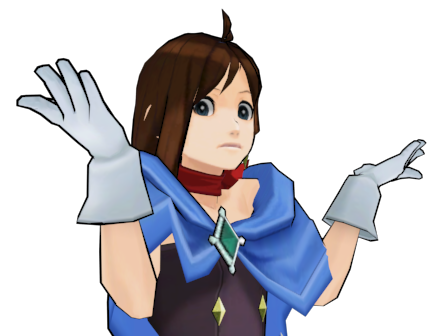 I tried Trucy and it's the same case as with her. Going by what was said previously in the thread, I just add objects to their respective layers until only one is viewable and apply a black texture as necessary? In addition to this, I was wondering what constitutes an expression. 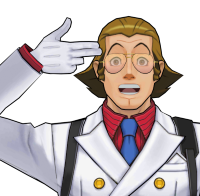 Would objects such as the eyes, nose, and mouth (including the tongue in Trucy's case) fall into that category? I've not done any 3D modeling before so this is all new to me. Any help is appreciated. Hmm, can you try PM'ing me the 3DS Max file? 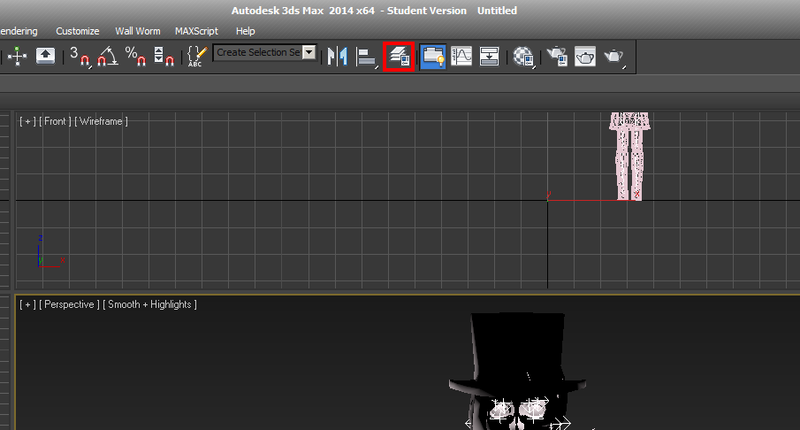 So when you import the model into 3DS max they don't have the horrible black layer as I show in the first screenshot? Remember if you hide the black layer, it will not show up. It only shows when you unhide it. 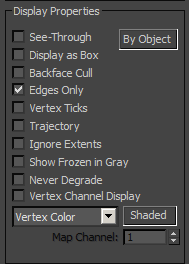 Assign the entire black layer selection with a black texture. Initially, I tried importing Apollo's model into 3DSMax 2016, and only had a gray model with some dark specks paris cdg transfer. So then I downloaded 3DSMax 2014 as per dirtypantsdan's suggestion and tried it again yet it looked the same. Can anyone perhaps rip The Phantom's model from the end of his breakdown, where his face is hidden in shadow? I've done this. 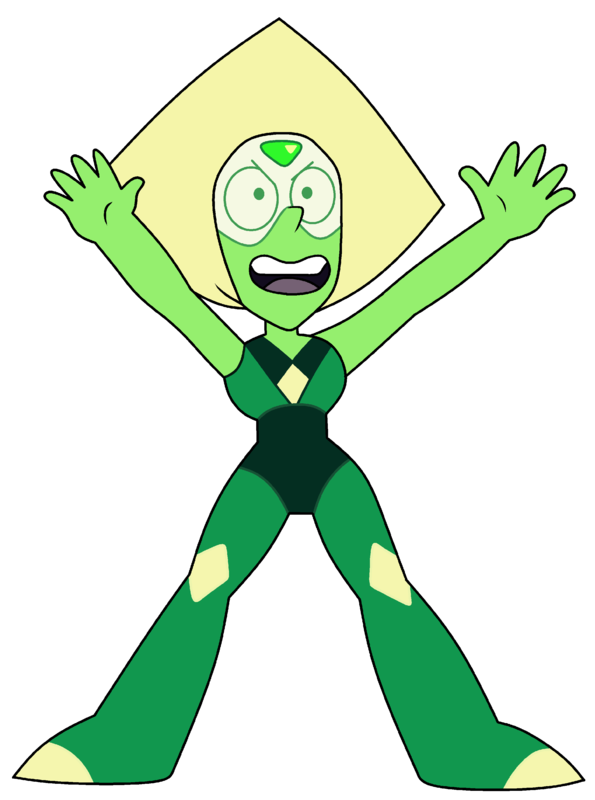 Not much, just one of Pearl's poses. She may be 18/19 now, but her pairing will NOT die! Edit: That was an off topic thingamajig, Are there any SoJ models? Like "Albhi" for example. is there a way to get .tex file working for maps courtroom texture?